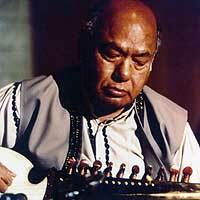 Yesterday Indian classical music lost one of its greatest, master sarod player Ali Akbar Khan. Those of you from the Bay Area will recognize his name in association with the school he founded in 1967, the Ali Akbar College of Music in San Rafael, CA, which has taught North Indian classical music to more than 10,000 students. Along with sitar player Ravi Shankar, Ali Akbar Khan was the face of North Indian classical music in the United States and influenced countless musicians around the world. Guitarist Carlos Santana once said that a single note of Khan’s sarod "goes right to my heart," while classical violinist Yehudi Menuhin – who prompted Mr. Khan to first visit the United States in 1955 – once called the sarodist "the greatest musician in the world." For those of you who are still looking for something interesting to read this summer, I’d like to call your attention to a fantastic new collection, Beyond Bollywood and Broadway: Plays from the South Asian Diaspora. 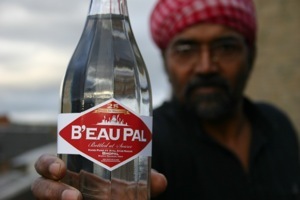 I learned about this collection after having the editor, Neilesh Bose, as my colleague in Colorado this past year. (You should know that although he’s not that much younger than me, Neilesh has distinguished himself as being the only person Stateside who calls me Nilanjana didi to my face, which is mildly annoying but also endearing.) Neilesh bhai moonlights as a modern South Asian historian focusing on Bengali Muslims from the 1920s through Partition, and leaving his elder "sister" behind in the alpine desert, he’ll be joining the history department at the University of North Texas next fall. Beyond Bollywood and Broadway: Plays from the South Asian Diaspora will be officially launched August 10-11 at the Martin E. Segal Theatre Center (CUNY) in New York with many of the playwrights in attendance, so do save that date if you’re in the city. The collection includes three plays from the United States, two from Canada, three from the United Kingdom, and three from South Africa. Even if I hadn’t met Neilesh this year, I would consider the collection a must-read for those of us who groan at the news of yet another novel evoking the heady scent of mangos. The plays from the United States include a seering sendup of two desi academics (identity politics, the postcolonial condition, etc.) in Anuvab Pal’s Chaos Theory and an adaptation of Shakespeare’s The Merchant of Venice set in 21st-century SoCal by Shishir Kurup. The other plays cover broad territory including the Bhopal disaster, absurdist theater, the hypothetical meeting of epic heroes Odysseus and Ram, domestic violence, Gujarati British youth culture, South African apartheid, and Indo-African relations. The plays are divided into sections by country, and for each country, Neilesh provides a detailed (but very readable) introduction to the historical, social, and cultural factors that distinguish South Asian migration and settlement there. There are also helpful comments on the development and role of theater in each setting. I’m always suspicious whenever people start talking about the South Asian diaspora as something that can be lumped together in a coherent whole, so I particularly appreciated these introductions. At the same time, there are recurring themes across these different diasporic locations, and these introductions direct our attention to them. Bought any Indian art lately? Last summer, a friend pointed me to Saffronart, an online auction site that features artwork by both better and lesser-known modern and contemporary Indian artists. You can browse for works based on the artist, how much they cost, or look at specially organized collections. Itâ€™s addictive enough for those of us who are suckers for eye-candy, but itâ€™s very interesting to see what you can get for your money, or somebody elseâ€™s money.